Lucy was born in August 2011 and found abandoned at a hospital when she was around 7 months old. During her physical examination she was described as having a 10cm scar in the middle of her thorax and her report indicates post-operative repair of ASD. Glaucoma was added at some point as an additional diagnosis. 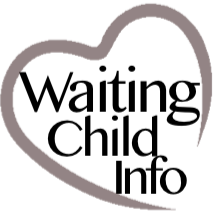 This child may be experiencing delays and we’re hoping for a developmental update. At the age of 10 months she began an Infant and child Parenting Program for early education. At the age of 1 year she could reach for toys on the toy shelf while lying on a cushion. She would smile when happy and smile when called. By the age of 16 months she could take her socks off, express she was full when eating and played happily under the toy shelf. At the time of her report she was 18 months and could stand for awhile with support, squat down, roll over continuously and stretch out to reach toys in front of her. She was said to be a deep sleeper who imitates words and is fond of listening to music. Her personality was described as quiet and fairly introverted. Because her report is very dated (from April 2013) we are hoping for updated developmental information soon!